The latest in a long line of efforts to reduce death and destruction from future quakes got “zero funding and no additional staff time.” Hence, earthquake drills in schools, for instance, get a higher priority rating than identifying school buildings at risk of collapse. Ensure schools are seismically sound. Strengthen bridges and utilities against earthquakes. Build tsunami refuges on the coast. Those recommendations have long topped the to-do list for protecting Washington from an inevitable, devastating quake. But they rank among the lowest priorities in a new report to Gov. Jay Inslee — because they are costly and difficult. Instead, the report from the governor’s Resilient Washington Subcabinet favors actions that are easy and cheap. As a result, mandatory earthquake drills in schools get a higher priority rating than identifying school buildings at risk of collapse. A strategy to repair power, communications and other utility lifelines ranks lower than producing pamphlets on how to purify water and dispose of human waste after a quake wrecks sewer and water systems. Even the modest goals outlined in the document would cost at least $15 million to accomplish, the report estimates — with no explanation of where the funding would come from. Inslee created the subcabinet last year to bolster the state’s preparedness for a catastrophic earthquake and tsunami. Made up of state agency heads and staff, the group will present the report to the governor on Sept. 27. It will be at least the sixth analysis over the past 30 years to spell out steps state officials should take to reduce death and destruction from future earthquakes and speed the state’s economic recovery after the next one hits. Few of the earlier suggestions were ever implemented. A draft of the new report, which is still being finalized, points out that the subcabinet was constrained by “a short time-frame, zero funding and no additional staff.” At a meeting in May, Inslee made it clear he wanted the group to focus on low-cost measures that could be executed quickly. None of that bodes well for the type of long-term commitment and funding it will take to make the state less vulnerable, said Jim Mullen, former director of Washington’s Emergency Management Division. 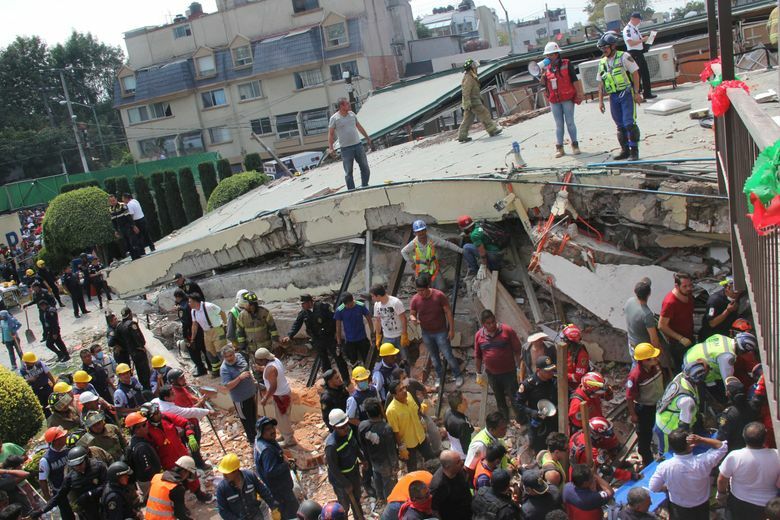 Last week’s quake near Mexico City, which killed more than 300 people, underscores the potential cost of delaying action on difficult issues like school upgrades, Mullen said. Among the dead were 19 children and six staff members crushed when their private elementary school collapsed. 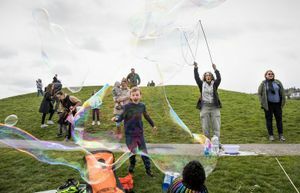 A Seattle Times analysis last year estimated that one in three Washington school kids live in quake-prone areas and attend class in buildings constructed before seismic codes were adopted statewide. Buildings: No state requirements or grants to retrofit buildings. At any given moment in Seattle, at least 25,800 people may be inside an old, brick building — the most vulnerable to earthquakes — that hasn’t been retrofitted, according to city data. Bridges: The state Department of Transportation has spent almost $200 million retrofitting bridges since 1991, and estimates it will cost well over $1 billion to finish the work. Lawmakers have struggled in recent years to fully fund public schools as ordered by the state Supreme Court, eliminating any hope for budget increases in earthquake preparedness. At the same time, the core operating budget of the Washington Emergency Management Division (EMD) has been reduced by half over the past decade. The new report acknowledges that significant progress toward earthquake resilience will take more money and staff, but argues that it’s possible to take small steps that can lay a foundation for future action. • Negotiating an advance contract with refineries to provide fuel after a major earthquake. • Training and certifying engineers to conduct rapid assessments of building damage. • Establishing a stakeholder group to help small businesses prepare. • Evaluating hospital preparedness and supply chains. The Washington State Office of the Insurance Commissioner is surveying earthquake coverage in the state, including the number of policies and the types and costs of coverage, said spokeswoman Kara Klotz. The work was undertaken partly as a result of the subcabinet’s formation and after The Seattle Times discovered that the coverage figures the office had been using were not valid. There are no current plans for implementing some of the report’s longer-term priorities, like reducing the cost of earthquake insurance or creating a state earthquake insurance authority, Klotz added. Several emergency-management experts expressed frustration with the report’s emphasis on continued study, analysis and paperwork. 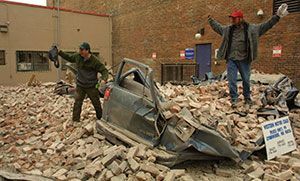 One recommendation calls for development of a model approach to retrofitting dangerous brick buildings — but that’s something the engineering community can do, said Eric Holdeman, former King County Emergency Management director. “It’s the political will to require the retrofits that doesn’t exist,” he said. Scott Miles, a senior research scientist at the University of Washington who serves on the state’s Seismic Safety Committee, called the quick-fix approach “disappointing and uninspiring,” and said it’s not likely to yield many meaningful improvements. But Miles, who helped write the state’s previous earthquake mitigation plan — the 2012 Resilient Washington State report — said he’s glad to see the issue getting some attention again. Whether the report will translate into action depends on how much support it gets from Inslee and the Legislature, Miles predicted. So far, he said, there’s little evidence that seismic safety is a high priority for either. The new report includes a list of proposed legislation, including bills that would mandate retrofits for some dangerous buildings; require disclosure of seismic and tsunami hazards in real-estate transactions; and establish a government body with funding and authority to coordinate preparedness. But the state Legislature has a lackluster track record when it comes to earthquake safety. In a 2016 analysis, Miles found that Washington lags almost all other earthquake-prone states in adopting policies to reduce risk. 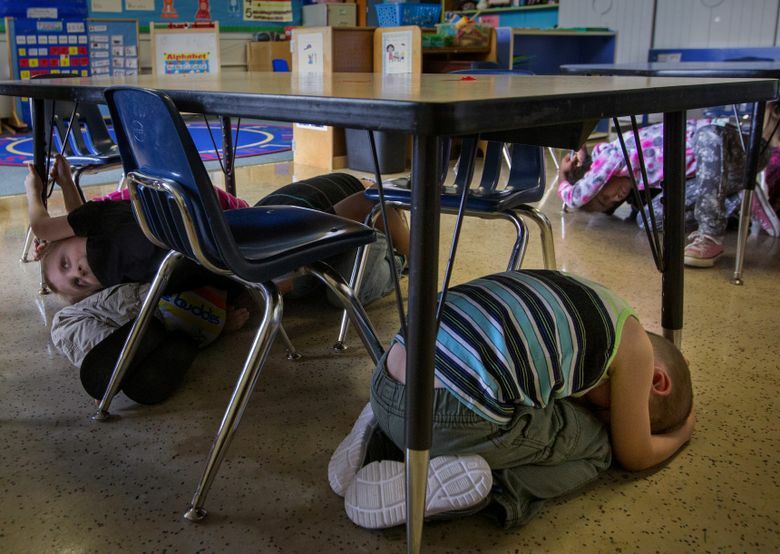 When state Rep. Jerry Pollet, D-Seattle, introduced a bill this year to require earthquake evaluations of schools, it was the first legislation on school seismic safety proposed in a quarter of a century. The bill didn’t get a hearing. The only quake-related bill that passed in 2017 mandated annual tsunami evacuation drills for coastal schools, but made earthquake drills optional. Amending that bill to require the drills is among the top priorities in the new report.